Hi dearies! 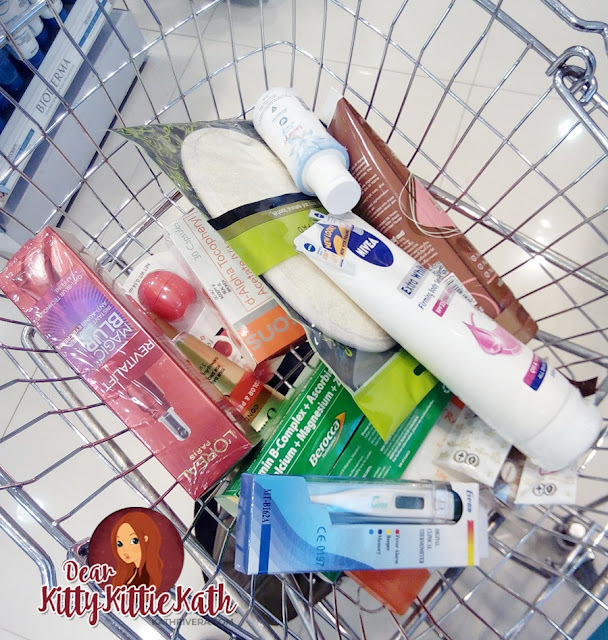 Last week I was invited by Watsons and Nuffnang to an afternoon of shopping spree. This event invited several bloggers to shop and join the Watsons Triple Bonus Promo. I presume that most of you have already shopped at Watsons for your personal, wellness, health, and beauty needs. 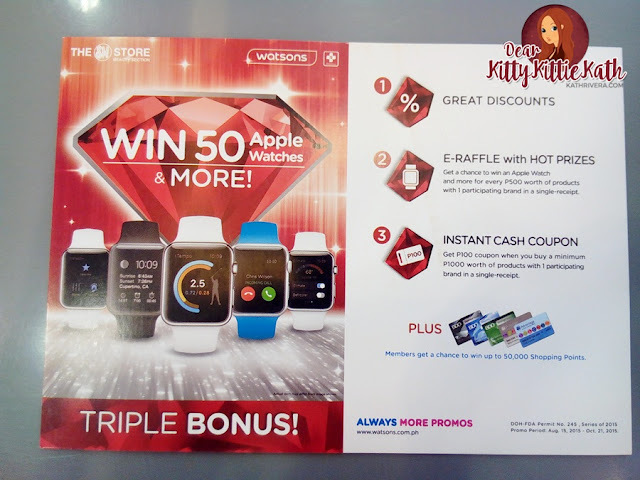 Aside from the products that you buy at Watsons, did you notice that they have promos and exciting offers every month? Watsons Triple Bonus Promo will give you a chance to win 1 of the 50 Apple Watches, coupons and shopping points! Spend a minimum P500 to get an entry. 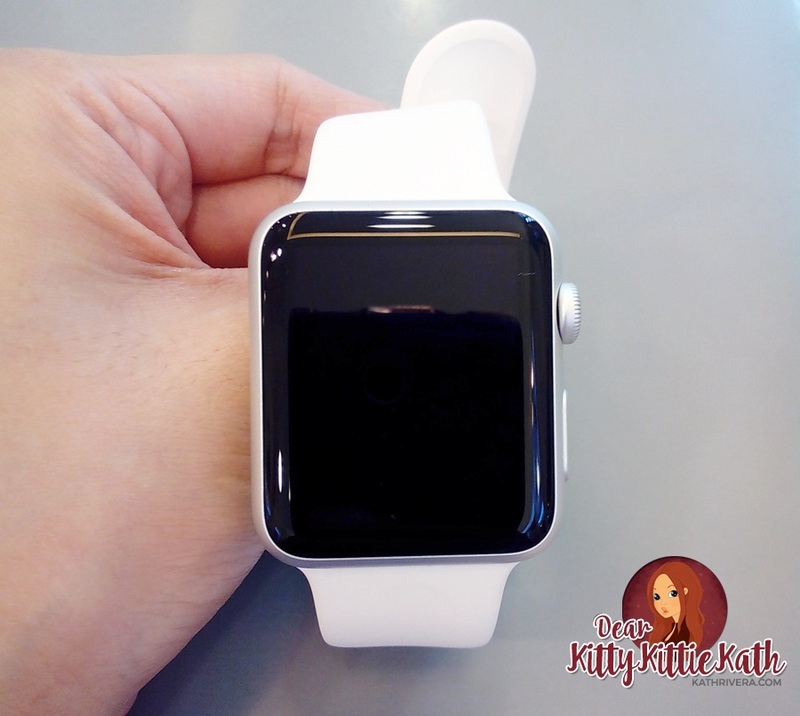 Promo runs from August 27, 2015 - September 27, 2015. Every P500 single receipt purchase from Watsons or The SM Store Beauty Section from Aug. 27 to Sept. 27, 2015, inclusive of any of the participating brands entitles the customer to join the e-raffle upon registration and texting of entry. Minimum P1000 single receipt purchase from Watsons or The SM Store Beauty Section from Aug. 27 to Sept. 27, 2015, inclusive of any of the participating brands also entitles the customer to get P100 cash coupon which can be redeemed at the Watsons and The SM store Beauty Section staff. Customer must present the claim stub that is printed together with the Official Receipt to redeem the cash coupon. Since this is a shopping-spree event, I purchased the items that I use everyday and added some products that caught my attention. I will muse that on my next post. Hurry, shop now at Watsons and join this promo. You still have a week left to earn points and get a chance to win one of those cool prizes! Thank you so much Watsons for having me. 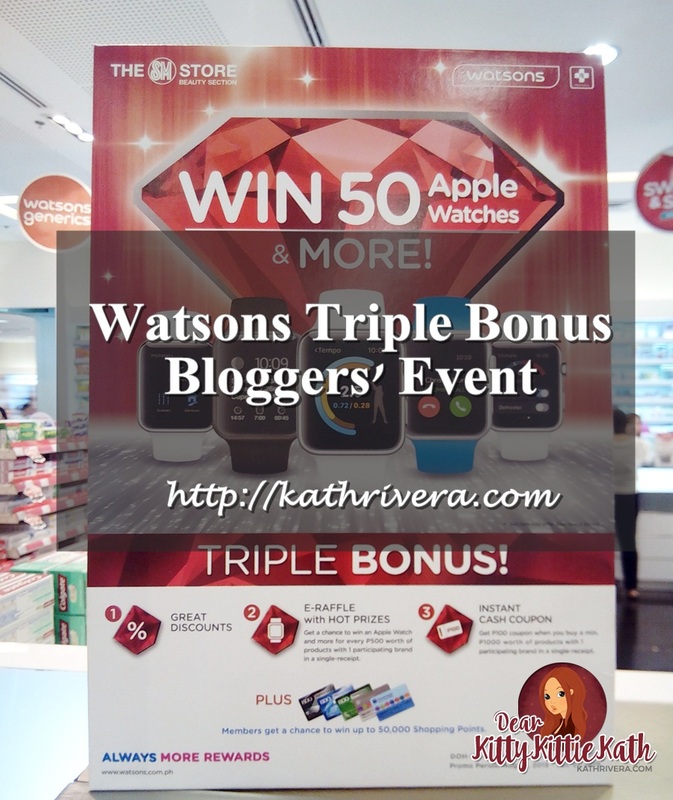 Good luck to all who participated in this exciting promo only from Watsons.